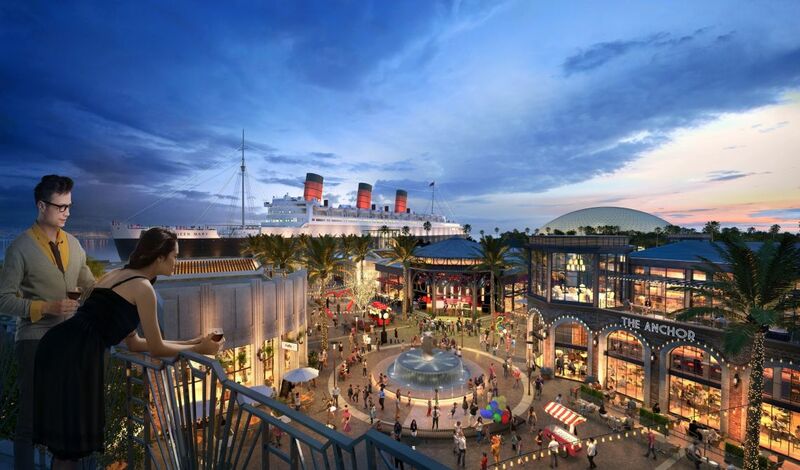 Developer Urban Commons and architects Gensler have revealed renderings for a new $250 million entertainment complex to be located adjacent to the Queen Mary ocean liner in Long Beach, California. The project—dubbed Queen Mary Island—aims to bring 700,000 square feet of retail, a 200-room hotel, and a series of outdoor public spaces including a new boardwalk, marina, and public amphitheater to the Pacific Ocean–adjacent waterfront. 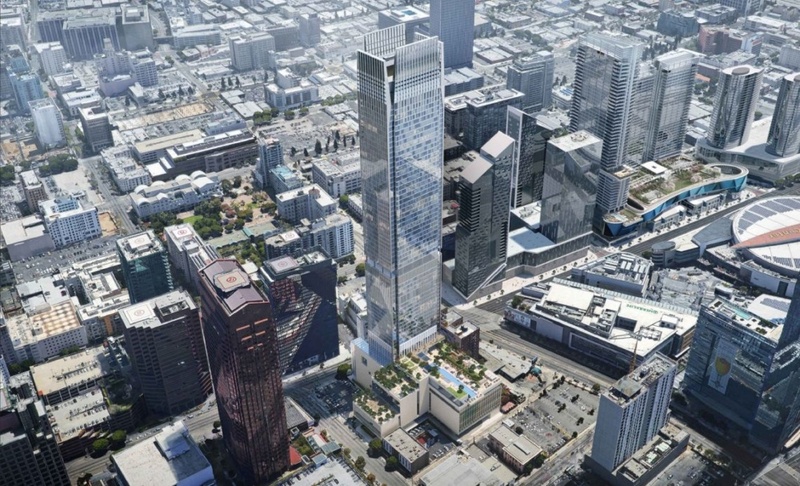 The Los Angeles Times reports that the project will also bring a 150,000-square-foot entertainment facility by London-based Urban Legacies to the site. That facility is slated to include high-octane attractions like an ice climbing facility, a zip-line assembly, and indoor skydiving simulator, among others. The move is an effort by Urban Commons to create new sources of revenue to fund badly-needed repairs for the aging ship. It is estimated that structural repairs and upgrades over the next five years alone will cost roughly $289 million. The Queen Mary brought in roughly $15 million in revenues last year between the 314-room hotel on board and revenue generated from visitor fees and events. Urban Commons has not released what projected revenues might be after the improvements, but the developer is betting that by rebranding and reactivating the Queen Mary as the heart of a new entertainment complex, more revenue will be generated. 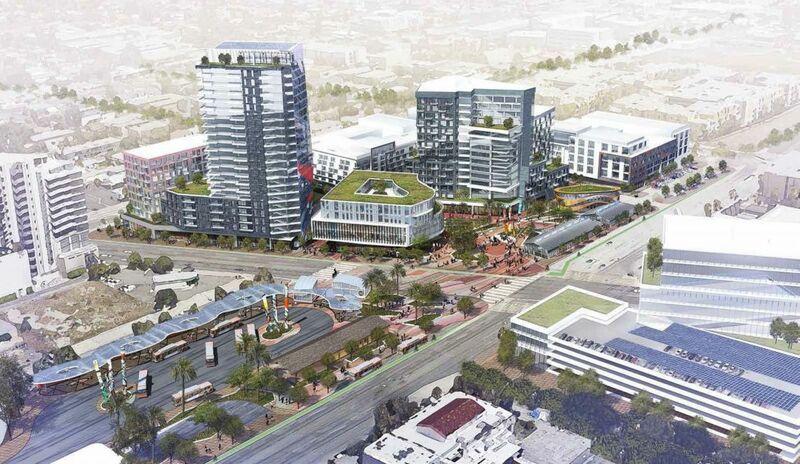 The proposed changes would transform the surrounding bayside, which is currently populated mainly by a series of surface parking lots and the Long Beach Cruise Terminal. Several of those parking lots will be replaced with a cluster of a shopping structures designed around broad walkways and plazas. The structures are being designed to celebrate “the best of Great Britain [the Queen Mary was originally based out of Southampton, England] and Southern California,” according to a promotional video issued by Urban Commons. A new boardwalk will wrap the Queen Mary as it crosses the harbor, transforming into a new marina as it stretches west across the site. The new amphitheater will be located on this end, along with the new hotel. The plan also includes a new entry lobby and event entrance for the Queen Mary, both designed in the manner of 19th century English greenhouses. The project is expected to break ground in roughly two years. With the recent wave of corporate office growth, Frisco, a city at the intersection of the Dallas North Tollway and State Highway 121, has seen a number of large developments take shape over the past five years. With Toyota as the most recent and highly publicized to lead the pack by announcing its relocation of its North American headquarters, the area is quickly becoming host to large corporate campuses. The Star in Frisco, designed by Gensler’s Dallas office, is the first to reach a milestone completion with the opening of the Ford Center, a 12,000-seat indoor field connected to an outdoor Dallas Cowboys’ practice field featuring an expansive glazed curtain wall. 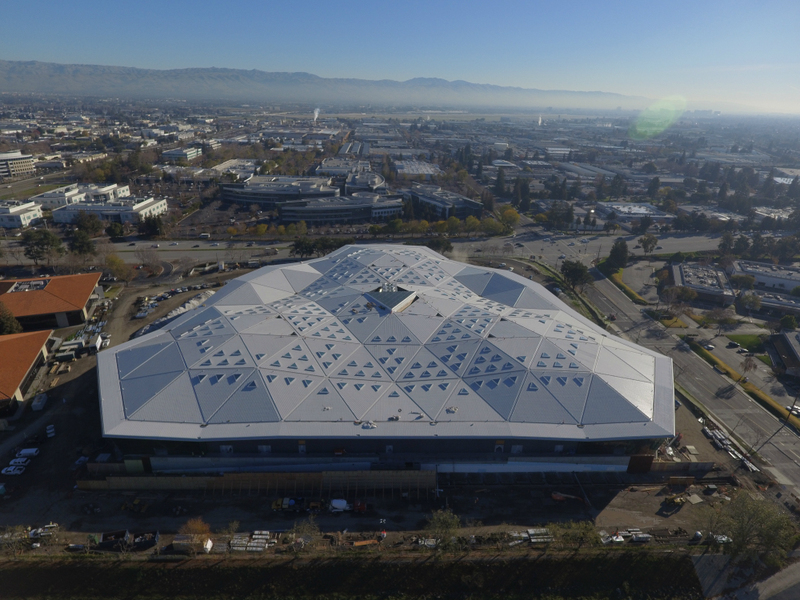 With the Ford Center’s completion in 2016, the development has greatly impacted the vitality of the region and the local community. The City of Frisco and the eight schools that make up the Frisco Independent School District will utilize the new Cowboy’s practice facility. 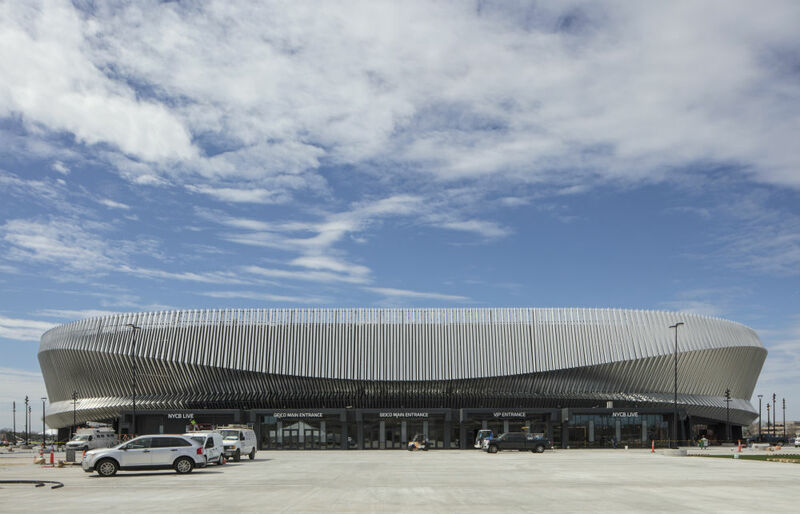 “The Star has been a catalyst development for the five billion dollar mile,” said Scott Armstrong, senior associate with Gensler. “Since the completion of the Cowboys’ facility, the real estate development in the surrounding area has gained exponential traction.” Over the next two years, The Star will add an Omni Hotel and additional retail space; a Baylor, Scott & White Health facility will be completed on the remainder of the site. Other projects are slowly gaining momentum: The $1.5 billion Frisco Station began construction in October of last year. The 242-acredevelopment spearheaded by Hillwood Properties will add nearly six million square feet of new office space with an accompanying mixed-use program, including a 40-acre medical park, 2,400 apartments, 300,000 square feet of retail, and 650 hotel rooms. Meanwhile, The Gate, a 41-acre luxury development under the direction of Dubai’s Invest Group Overseas, continues to search for investment to partner in the $700 million project. Wade Park, the largest development of the four, has seen some site work although construction has yet to take place. According to a November 2016 article by Dallas Morning News, the project’s first phase that would feature a large retail component was postponed with completion set for 2018. Its website lists signed tenants such as Whole Foods, iPic Theaters, and Pinstripes bowling. Just off the Five Billion Dollar Mile, another project provides a contrast to the Mile’s predictable designs. One Legacy West will make a minimalist design statement amongst the horizon. 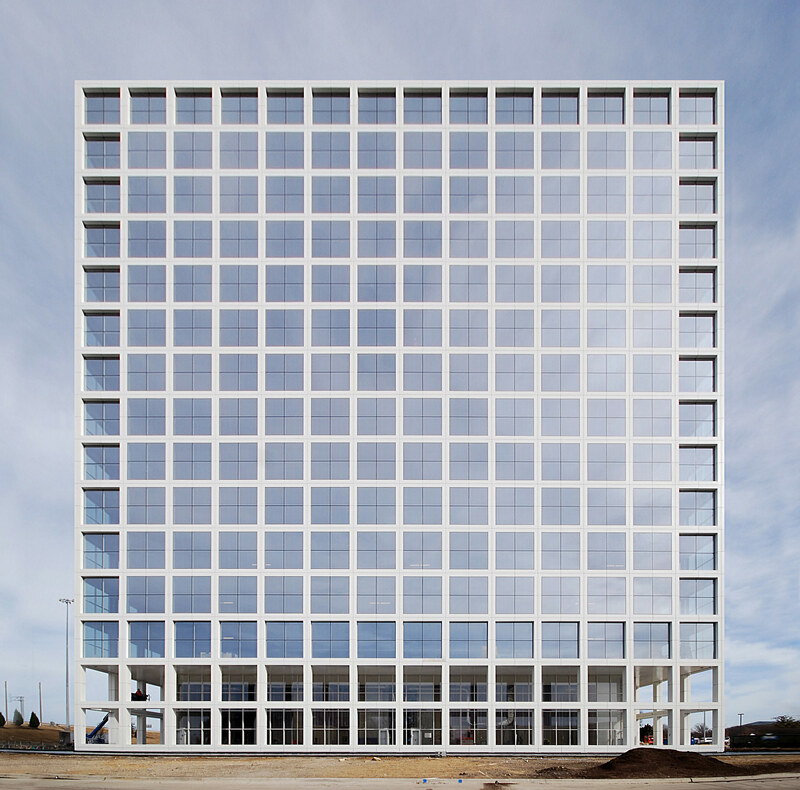 “Given the context we, and our client, the Gaedeke Group, chose to differentiate One Legacy West through an architecture that is simple, ordered, and restrained,” said Mark Dilworth of Morrison Dilworth + Walls. From a 15- by 15-foot column grid, the firm developed a strict logic where the final outcome is a cube in and of itself. The move renders the architecture simultaneously iconic, as it is functional and flexible for the tenants. 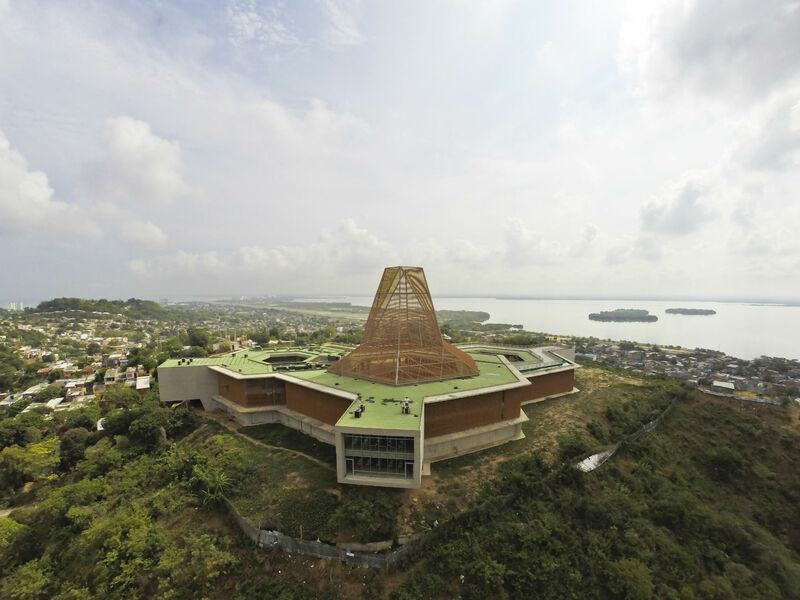 It is one of the rare, architecturally rich projects in the area based solely upon form. One Legacy West will be complete by mid-2017. 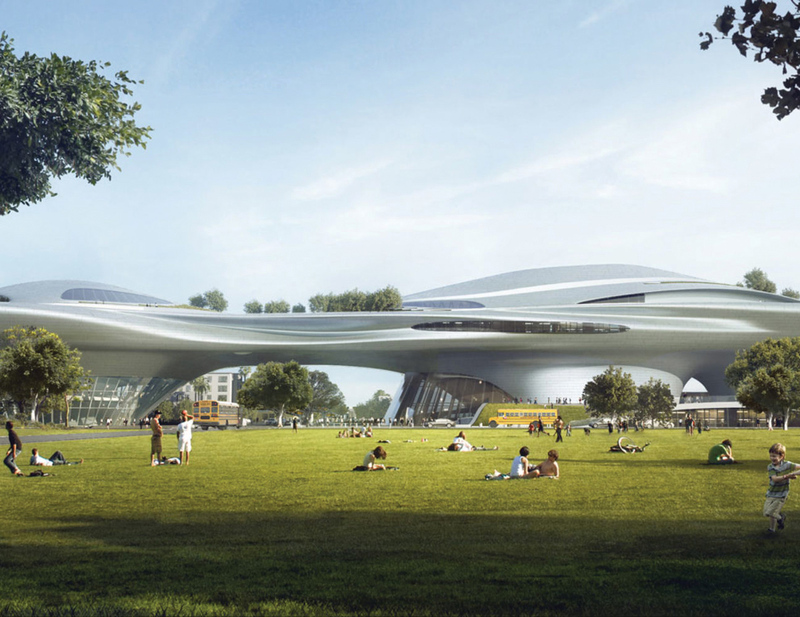 The board of directors for the Lucas Museum of Narrative Art (LMNA) recently chose Los Angeles as the latest—and potentially final—site for its troubled museum proposal. The decision marks the third attempt by the LMNA museum board to find a location for the nearly $1 billion museum—resulting in multiple design schemes by MAD Architects. The LMNA will house a growing and expansive collection of graphic art, including works by Zaha Hadid, Edgar Degas, and Pierre-Auguste Renoir, among others. 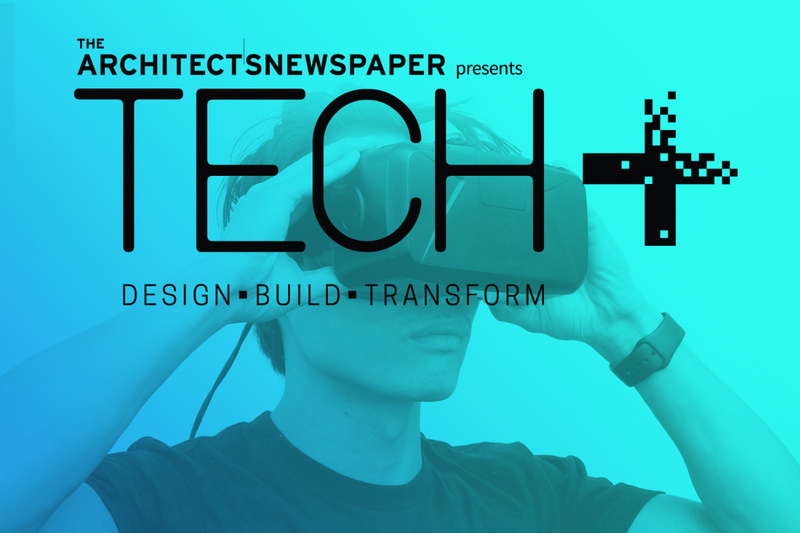 MAD Architects’ initial designs for a site north of San Francisco were rebuffed in 2015 after community outcry. The LMNA team made a try for a site in Chicago in 2016, only to eventually scrap the plans in the face of fierce opposition to the project’s proposed location on the Chicago’s lakefront by a local community group. Most recently, LMNA’s board made parallel pitches for two sites in California: one on San Francisco’s Treasure Island and another in L.A.’s Exposition Park. 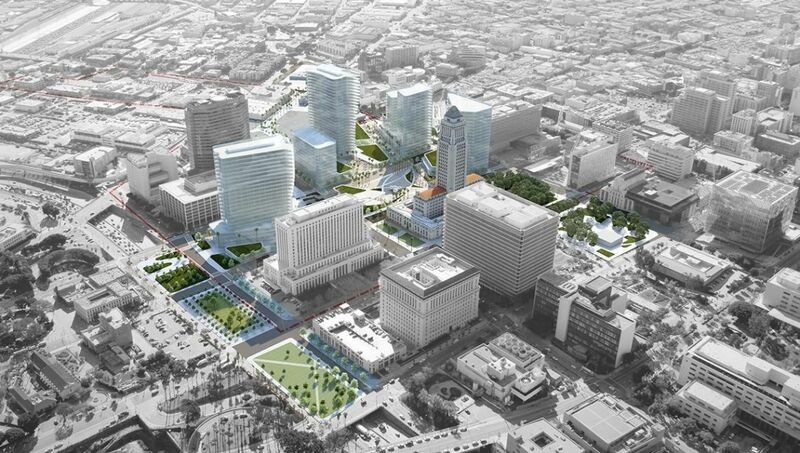 L.A. won out this round, gaining another cultural amenity for a site already home to the Los Angeles Memorial Coliseum, California African American Museum, California Science Center, and the Museum of Natural History of Los Angeles County. The new museum, if built, will also be located along the city’s Expo Line light rail line, and will help—along with a forthcoming Gensler-designed Los Angeles Football Club soccer stadium—extend a leg of transit-oriented development from a growing entertainment and hotel district in the South Park neighborhood nearby to one of L.A.’s core working class neighborhoods. 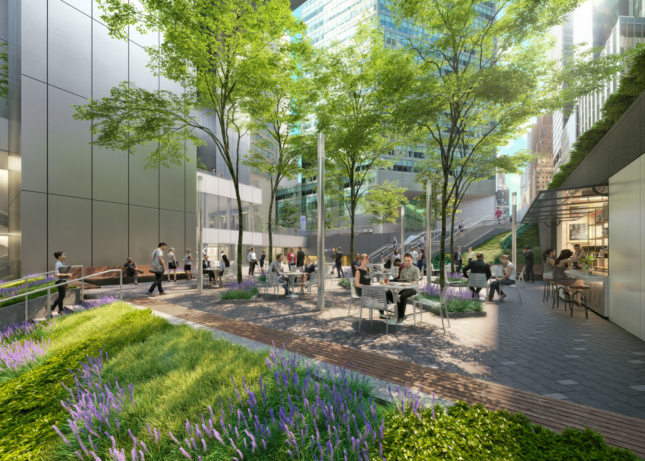 In an effort to preserve the park’s green spaces, the selected scheme will include public open space on its rooftop. Renderings for the proposal show the curvaceous museum located in a leafy, park setting topped with tufts of greenery. The museum also appears to gingerly touch the ground by coming down in a series of large, discrete piers.